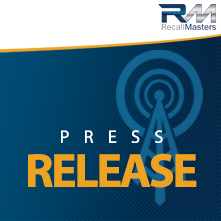 San Francisco, CA — May 26, 2015 — Recall Masters, Inc., today announced the launch of a revolutionary new platform that combines the most comprehensive recall information source available with the most complete recall marketing program for automakers and their dealers. Recall Masters helps dealers attract new customers and drive more sales and service revenue from vehicle owners motivated to visit a factory-authorized dealership to service their recall. According to CARFAX’s annual research, more than 46 million cars nationwide have at least one safety-related recall that has not been remedied. “We create opportunities for dealers to attract new customers, generate more revenue from recall repairs, upsell service based on vehicle maintenance and convert higher mileage and older vehicles into new car sales. With our program, dealers can begin welcoming new customers in just two weeks,” said Chris Miller, President of Recall Masters. The company learns which mandatory recalls are performed, unperformed or expired and oftentimes what involuntary recalls exist for a specific VIN. Recall Masters supplements and verifies its VIN‐recall match process through VIN decoding and direct recall updates using NHTSA/ODI flat file databases and OEM Technical Service Bulletins, as provided and regularly updated by the automakers and NHTSA. In this way, it obtains the complete Recall Description, Recall Consequence, NHTSA Code and OEM Code for every NHTSA‐mandated recall. The company’s proprietary system then scores and ranks recalls since model year 2000 to identify recalls that pose the highest safety risk to consumers and the greatest repair profitability to dealers. Each dealer receives only unperformed, non-expired recalls on vehicles eligible for service. Recall Masters offers auto dealers exclusive marketing areas by zip code and prepares them for a successful campaign by sharing best practices, tools and processes through its Recall Masters Academy. The company mails recall reminders and sends follow-up emails to vehicle owners, providing dealers with phone numbers for further contact. When a customer calls in to inquire about a recall, Recall Masters makes it easy for the dealership to instantly look up the recall by VIN or its shorter Recall Locator code to book a service appointment. All the recall information is immediately available to quickly answer any questions and service the customer, reducing the time dealers spend on the phone from 10-15 minutes to just 1-2 minutes. For a free estimate of open recalls near your dealership, please visit www.recallmasters.com or call: 888-651-4480. Recall Masters is the leading source of automotive recall information, services and vehicle owner communications dedicated to helping automakers and their dealers expedite the repair of recalled vehicles and make the roadways safer for everyone. The result? Greater recall awareness helps automakers protect their brand and build trusting relationships between automotive dealers, rental car agencies, auto auctions and consumers. Recall Masters is privately held and based in the San Francisco Bay Area.